When Roan Waterbury’s two sons approached him about ideas to conduct an Eagle Scout Project in Orange County, a lightbulb went off. 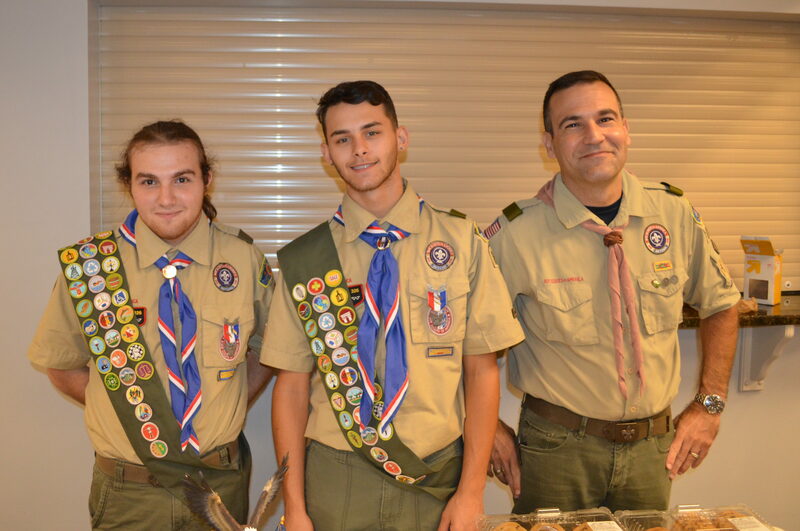 As a project manager at Orange County Government’s Capital Projects, Waterbury knew an Eagle Scout volunteer project could greatly benefit local residents and would be a way for his sons, Thomas and Ryan, to give back to their community. He contacted Beth Jackson, Environmental Program Supervisor for Orange County’s Environmental Protection Division (EPD) Green PLACE (Park Land Acquisition for Conservation and Environmental Protection) and she had the perfect project in mind. Green PLACE is a County initiative to preserve, enhance and restore environmentally sensitive lands. The program seeks to establish regional corridors and greenways and, when possible, make them accessible for the public to appreciate and enjoy. The goal for Orange County is to obtain funding through grants, partner organizations, foundations and other sources to preserve more than 88,000 acres. Jackson is always looking for ways to get residents involved in projects that create a win-win scenario for residents and for the environment. These projects build a sense of ownership and pride and offer an amenity to Orange County’s 1.3 million residents and 72 million guests. Orange County began acquiring environmentally sensitive land parcels in the mid-1990s. Typically the properties are acquired because they are considered to be environmentally sensitive lands. The County has purchased approximately 22,700 acres. “Our plan is to open the Lake Lucie Conservation Area for public access and enjoyment and we needed to install picnic areas, benches and horse hitching posts,” Jackson said. The brothers, Thomas and Ryan Waterbury, successfully completed their projects and were awarded the rank of Eagle Scout on April 12, 2018 and May 24, 2018 respectively. Jackson was glad to help the students receive the prestigious rank of Eagle Scout, which is no easy task. According to Jackson, Thomas and Ryan, who were both 17 when they completed their projects, did a fantastic job putting together project plans and getting their teams in place to complete the tasks. Jackson said she was impressed with their leadership qualities and camaraderie. The Waterbury brothers said the project allowed them to give back to the community they call home. This isn’t the first Scout project Jackson has mentored. She also completed a project with the Girl Scouts on John’s Lake and is looking forward to helping more young people bring their ideas to life. To find out more about Orange County’s Green PLACE properties, visit http://www.orangecountyfl.net/Environment/NaturalLands.aspx, call 407-836-1400 or email epd@ocfl.net. Photo Caption: Pictured left to right are Eagle Scouts Ryan and Thomas Waterbury with Roan Waterbury, Project Manager for Orange County’s Capital Projects Division. The Eagle Scouts installed picnic areas, benches and horse hitching posts at Orange County’s Lake Lucie Conservation Area as part of their Eagle Scout Project.